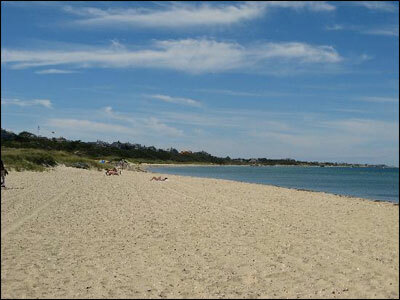 Jetties Beach is downtown and a very popular kid beach along with people visiting for the day or without a car. It is pretty much not an option during the summer because it is guarded. Also there is bird issue there so it is often closed to kiting in the spring. If there are bird fences up the outside (main) beach is pretty much closed to kiting. Most days that you could be riding Jetties you can also ride Water Tower so that is the fall back. 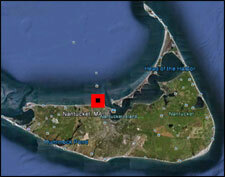 Jetties is one of Nantucket’s best kiting beaches in the off season. It is spacious. You can drive out. And when a solid North East has been blowing all night, or better yet for a couple of days, the conditions can get just awesome. There is a sandbar on the outside that runs along the whole north shore and you can see it firing out there all the way down when it is on. It is bump-n-jump but a good day at Jetties on a solid NE can be as good as most ocean sessions. Jetties is diverse as well. You can get a solid butter session on the inside or even on the outside depending on the wind direction. An east wind and low tide will produce a condition known as “The Runway” because you will basically get butter on the outside all the way out and you can sail out parallel to the jetty. Occasionally the conditions at the mouth of the Jetties will get really good and the waves will really stand up as they enter the harbor. Nothing is breaking there but you can most definitely get a few good turns and the jumping is sick. Lastly, and I make this comparison only after a lot of consideration and with the knowledge that “The North Shore is NOT THE OCEAN“, if the stars align you can get a super fun shorebreak along the whole North Shore. At Jetties it is best in front of the Beach Club. Of course there is no swell so it all depends on having a solid breeze for a day or more to build up the waves and then hitting the tide right. It is mostly on North and especially North West where you will get ripable mini surf and in those directions it is just better at Water Tower. But don’t completely dismiss the North Shore for your surf board. When it is firing NW you can start upwind of Water Tower and rip the shore break all the way down to the beach club. Then work your way back up with two long tacks. Repeat this four or five times and you have yourself a very satisfying session. Last weekend saw a pretty good run at Jetties and when you get a few good days there you are reminded why it is the Best Kiteboarding Beach on Nantucket. Its big and spacious and on NE it is the perfect setup for learning or ripping it. 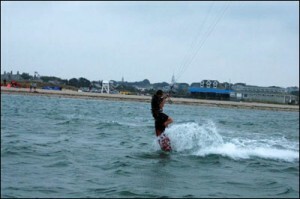 I think the best way to really enjoy Jetties is to fully embrace the idea of “Bump-n-Jump” kiting. Even on a flat day the kickers are just awesome and you can find your moments to turn. It is a really satisfying condition to sail. I am on the Island for a few weeks and am looking for a used twin tip about 138. Any thoughts?